When we confer with students, we often feel guilty because we run out of time… and as important as it is to confer with students individually, one way to save some time is to confer in small groups. When I first tried small group writing conferences, I grouped by need: Writers who were stuck in the early stages of the writing process worked together with me to discuss ways to become “unstuck”, those who needed more support with organization met at a different time, and those who were ready for greater challenges met in yet another group. There is certainly nothing wrong with grouping students by need. 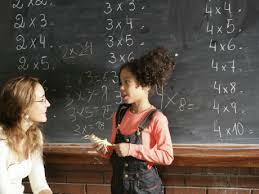 The conferences become more efficient: you can often provide feedback to 4 or 5 students in about 15 or 20 minutes. There are possible downsides, however. Writing is complicated, and some writers may have more than one need. If you aren’t careful, small (lower-case-g) groups can become (all-capitals) GROUPS that meet too regularly, and writers may start to label themselves as struggling or advanced. My most successful needs-based small groups have been very short term and laser-focused. An alternative to pulling small groups based on like needs is to just ask small groups of students to work on their writing at a table while you monitor their progress regardless of their needs. If the purpose of a conference is feedback, then providing feedback as close as possible to the actual act of writing can increase the power of the conference. When I have spoken with students about this method of conferring in small groups, their feedback to me has been very positive. They feel they can ask quick questions, and they are more likely to listen to my feedback if they haven’t written so much text that any potential problems seem too big to solve. It also provides an opportunity to give frequent positive feedback to your more resistant writers: you can acknowledge even small progress, and because you aren’t sitting alone with one student for the entire time, you are less likely to create a dependent writer. Another benefit is that writers may overhear what you saying to another writer. This is a good thing! They may try a strategy you teach someone else. Peter Johnston, in his books Choice Words and Opening Minds, reminds us that the language we use with our students can help or hinder their identities. One of the simplest things we can do when we work with our students is to call them “writers”. This is certainly not a new idea. Lucy Calkins, Katie Wood Ray, Matt Glover, and other experts in the field of writing instruction have been recommending this for years. And I have been lucky enough to see it pay off again and again in the workshops I visit. I was visiting a first grade classroom during writing workshop not too long ago and I talked with students about their writing lives. At six years old, this student, and all of her classmates, exhibit tremendous confidence in their writing. 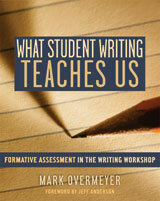 Of course, the teacher does much more than refer to her students as writers. She teaches, models, demonstrates, provides time to practice, and gives feedback. These first graders do what all writers do: they make choices, they find the best way to communicate their ideas, and, yes, they hold themselves accountable by finishing the projects that bring them the most energy and joy. Writing workshops I am lucky enough to visit are full of structures, routines, and expectations. Students in these workshops write with purpose and meaning. These are not “free-for-all” classrooms where writers are not held accountable to high standards. In fact, I find students hold themselves very accountable, even at kindergarten, when they care about their work and they aren’t just finishing their writing to please the teacher or to get a better grade. 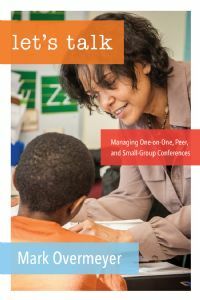 I am very excited about my new book on conferring from Stenhouse, Let’s Talk: Managing One-on-One, Peer, and Small Group Conferences. Conferring can be difficult because there are so many things to manage. I tried to write a book with practical tips for all of us who have struggled with time and paper management over the years. Sections in each chapter provide tips for working with English Language Learners. There are two chapters on peer conferring, and one is based on the kind of talk that happens in the “real world” of writing workshops: the peer review conference. I will blog about what that looks like very soon. Meanwhile, happy conferring! Resistant writers are better at resisting than they are at writing. They resist because they have practiced resisting. I need to figure out how to nudge them toward practicing writing more than they practice resisting. And if I have a resister sitting in front of me, I am already behind because they have become very good at avoiding. When I think about my resisters as opportunities to learn – when I “love” the resistance – then I am more likely to provide meaningful support. I do not claim to be an expert on working with resistant writers, but I have certainly had a lot of practice. I have become better at figuring out what to say and what not to say when working with resisters. One resistant writer who taught me a lot was in my fifth grade class a few years ago. 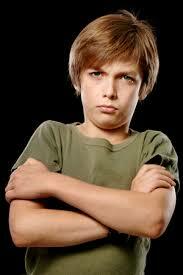 Jonathan was a passive resister. He didn’t say much at all during writing time, and he preferred to be left alone. Some days, Jonathan wrote nothing. 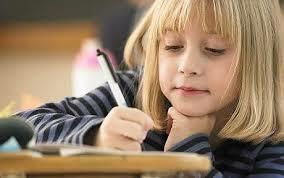 Other days, he would write a few lines of text during writing workshop. I made the mistake of being overly enthusiastic about his progress one day, and he shut down for the next few workshops. Allowing Jonathan into the conversation is what I was missing at first. When I started asking him what he thought, he engaged more willingly. I began respecting Jonathan as a writer who could articulate something about his own process. Our talks allowed him to learn strategies that he could replicate later. On another day, we might come to the conclusion that talking with a partner helped Jonathan begin to draft: “Do you see how talking out your idea for even a few minutes helped you? You seemed more excited to start writing today because your partner liked your story.” Slowly, over time, Jonathan practiced writing more than he practiced resisting, and by the end of the year, resistance was rare. I share this example to encourage you to talk with your resisters. Love them. Embrace the challenge. See resisters as opportunities, as writers full of possibility. I am excited to announce my new book from Stenhouse is due out in February, 2015! I hope Let’s Talk: Managing One on One, Peer, and Small Group Conferences will provide some helpful tips for all of you who work with writers every day. I will be updating my blog more regularly now, and periodically I will discuss some of the ideas in my new book. One reason I stressed so much about conferences is because I was in search of that one, perfect, elusive TEACHING POINT. Now, I worry less because I have shifted my focus from me to the writers in front of me. Perhaps the most important reason to engage in a conference with a student is to learn from them, especially at the beginning of a unit or at the beginning of the year. A fifth grade writer I met recently comes to mind when I think of how I can use a conference to learn, rather than teach. Just looking at Ryan’s notebook cover taught me that he loved baseball. It was full of baseball stickers and images of his favorite players. As soon as I opened the notebook, I realized I was working with a writer who felt empowered: he had many pages already written, and he was able to tell me about why he was writing each piece. He even had a goal: Since he had written so many pages about sports and about his life already, he decided to tackle fiction. After asking him what he might write a fiction piece about, we talked about his love for fantasy and science fiction. Before long, he was brainstorming possible story ideas, and even began to think about how he might incorporate his love for baseball into his ideas for fantasy stories. Ryan, and many writers like Ryan, have taught me over the years that conferring is primarily about listening first. The teacher must listen to the writer and let them lead the way. My discussion with Ryan lasted less than 5 minutes, but I could write pages about what I know about him. When I checked with him later in the workshop, he had completed a list of story ideas and had started on a draft of a possible story. I realize that all writers are not confident like Ryan, but I firmly believe that if we listen first, and learn from our writers, we can best serve them. I did teach Ryan something that day: I taught him that he had the tools he needed to begin his journey into fiction writing. He already knew the power of brainstorming, and he had successfully completed short drafts about his love for baseball and his current life as a player on a good team. I recommended he use all he knew about being a successful writer (brainstorm, talk out ideas with a partner, write what you care about) to help him draft some fiction. My conference was successful because I listened, I based my tips on what was already working, and I walked away and gave Ryan time to write. Ryan (and all my writers) do not need me to hover over them, making sure they are doing what I think they should be doing. Writers need time to write, relying on their strengths to continue writing, making decisions about how best to proceed, and seeking guidance from me (and other writers) when they need it. 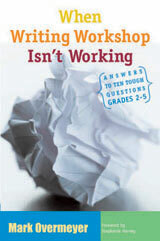 In future posts, we will discuss other topics about conferring- including how to work with resistant writers. In the meantime, happy conferring! 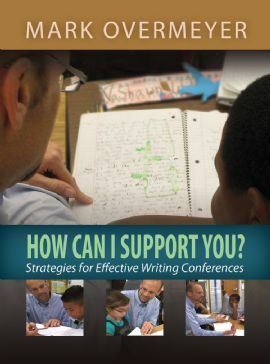 My DVD on writing conferences, How Can I Support You? is available now from Stenhouse. You can view a free preview clip online. I am very happy with the outcome of this project… none of the conferences are “perfect”, but, I believe that no conferences are perfect. I do my best as a teacher/learner to listen as much as I can to what kind of support I can offer my students. I think this comes through in the DVD. I definitely want to teach all of my writers something, but I want to meet them where they are so I know what they are ready to hear and to try. 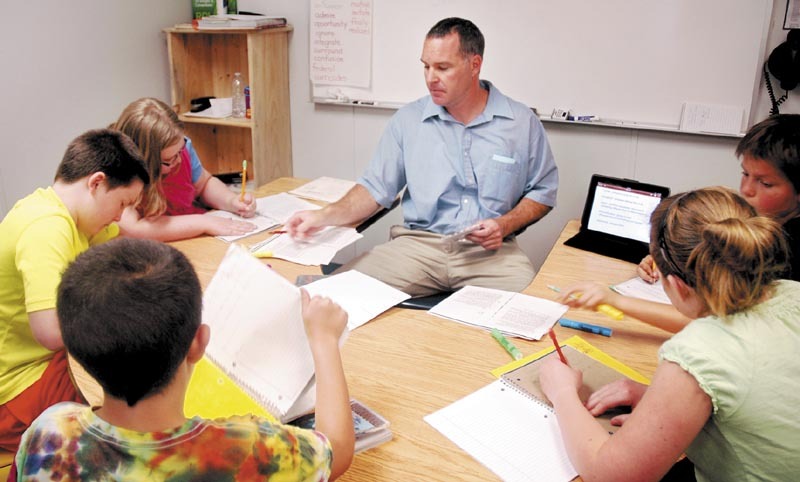 The DVD features conferences with 3rd grade essay writers and 5th grade narrative writers. 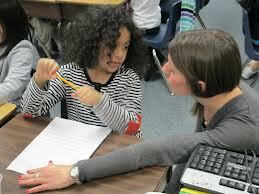 One of the conferences is in a guided writing format, and there is also a peer conference between two students. I hope the DVD can help teachers to be more confident with their conferences!